Our CAOHC Certified Technicians monitor the employee’s hearing test as it is in progress with prior test records available for review. If necessary, an immediate retest is performed to verify the audiogram results. Technicians are trained to monitor the testing environment throughout the cycle to insure OSHA ambient noise level compliance. We offer enclosed audiometric testing booths that meet all current OSHA standards. The testing booth is engineered to limit ambient noise and measurements are taken to ensure the most accurate hearing tests possible. Noise levels are continually monitored throughout testing to ensure strict compliance with all OSHA requirements. We only use high quality audiometers in our mobile booths to ensure the accuracy of your employees test results. Our IHS Service Technicians are Council for Accreditation in Occupation Hearing Conservation CAOHC Certified. 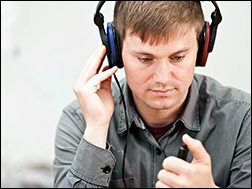 After completing OSHA required workshops technicians are supervised by an IHS Audiologist who reviews their performance to maintain high levels of quality. We provide monthly continuing education training for up-to-date information. Our Director of Audiology, Dr. Rodney Atack (a CAOHC certification Course Director) provides all staff member a direct resource for Hearing Conservation training. 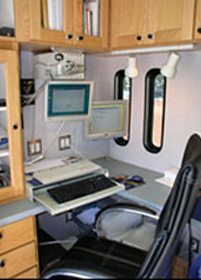 Mobile hearing testing units are equipped with four microprocessor-controlled audiometers that allow testing of employees without fatigue and associated problems. Each audiometer is exhaustively calibrated annually with daily checks performed by our technicians. Schedule onsite testing to meet OSHA hearing conservation screening and reporting requirements now! Contact us and schedule your appointment.